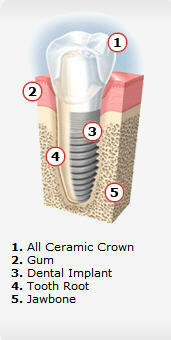 Our Periodontal & Implant Clinic located in Bellingham specializes in the placement of dental implants. Dr. David Baker will work closely with your general dentist who referrred you to our clinic to ensure that you have a continuum of dental care. Dr. Baker has advanced training as a Board Certified Periodontist.